New Orleans hosted the Republican National Convention. 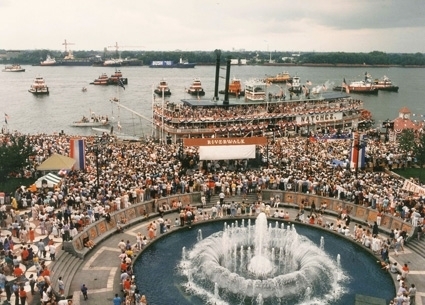 The opening event was held in Spanish Plaza along the riverfront and the GOP candidate George H.W. Bush arrived at the welcome rally aboard the Steamboat NATCHEZ, along with his son, future US President George W. Bush.